Slow web sites irritate everyone. You do not want to visit even your own site, if it is loaded for too long. Now think about your visitors, who form their first impression of your internet project on a basis of those long seconds waiting, which they need to carry out before downloading the content of your site. In addition, Google has officially noted that the download speed of the pages is an important factor in ranking the site in the search engine results. Let’s talk about specific numbers. Every second of site download waiting will cost you 7% of traffic for your project. If you are using the site to sell any goods or services, then every extra second of loading will result in a loss of revenue. Let`s suppose that your site has a turnover of $ 1,000 per day. In this case, every second delay at loading will cost you about $ 30 000 per year. Now you understand how serious things are and it is time to move on how to overcome long load of your site on WordPress platform. We tried to collect only simple and effective ways to reduce the loading time of the site that do not require special knowledge in the field of programming and does not occupy a large amount of time on their implementation. This step is extremely important not only for new internet projects, but also for existing sites. Of course, the process will be easier and quicker if you instantly select quality hosting for your web site. But many hosting also support an easy transition to their base for sites which are already working on another platform. Therefore your choice should not be limited to a habit or fear about too complicated transition to another platform. Every website owner should avoid cheap hosting offers for his or her internet project. The fact is that any cheap web hosting is used by a large number of customers, each of whom is allocated with less space and opportunities at their servers. If you save money on hosting, there is nothing surprising in the fact that hosting saves space to serve your website. Thus, for less money you get a lesser quality. Think of the numbers that we gave at the beginning of this article and take a decision on whether such savings are wise. CDN is a content delivery network. CDN allows you to provide visitors the most concise content download time by using a server that is geographically close to these visitors. So CDN determines which region is defined for a visitor of your site and downloads the content from a server that is closest to him. CDN allows you to optimize the hosting by the balanced load across multiple geographical sectors. You should be aware that even the most powerful hosting in the US will work worse for European users. Thus, using a CDN, combined with powerful hosting, you will be able to offer your visitors the best download speed. Most themes for WordPress are overloaded with functions that will never be used. The creators make the attempt to provide a complete and self-contained product, but sometimes it leads to overload of the site code and can slow down its work. If you are familiar with PHP and CSS, then it will not be difficult for you to determine the light or heavy theme for WordPress. If you are a novice web site owner and are poorly versed in the code, it will be enough to read the reviews of other users about a particular theme design to make the right choice. Remember that a large number of add-ons and plugins may have a negative impact on the speed of the site. Try to abandon features that you do not need to use and choose a theme without any additional features that you do not know. This saves time not only for you but also for your visitors. Caching plugin makes it much faster to load those pages of the site, which the visitor has already visited. If you are not using a caching plugin, then each time a visitor click on a site he will have to wait for the processing of PHP code that generates an HTML page to display. If you are using caching plugin, then already generated pages are saved and load faster when for the visitor. This allows users to reduce the waiting time tremendously. There are both free caching plugins, and paid tools. Among the free we can distinguish WP Super Cache and W3 Total Cache. Each plugin has its own characteristics, but these are fairly simple to set up and follow-up work. Among paid plugins we can identified WordPress Booster Caching Plugin. The choice, as always, is yours. Large images carry a huge load on the site. If each image on the page is larger than 1 Mb, and the number of images is more than 10 (which can be found almost everywhere), the page is loaded for too long. Do not be afraid to compress the image as your users are unlikely to notice the difference in quality. Image size of 5 Mb can actually look the same as the image of 500 Kb. But it is also needed to use the right tool for the appropriate compression. The most common option is to use Photoshop or its analogues (for example Paint.Net). If you do not want to buy and install an extra program, you can use the online image compression services, for instance – EWWW Image Optimizer. Besides, the WordPress provides built-in tool to compress images. It is called WP Smush.it. You should try different options and opt for the most convenient for you. Another way to reduce the load on the site by uploading a large number of images is a Lazy Load. It is a group of plugins, whose function is gradual loading of images on the page. So the site downloads only those images that are placed on the first screen scrolling for the user. If a visitor scrolls below, images are loaded as he moves through the site. This approach significantly reduces the loading time of the very first page of the site, which is one of the most important factors in evaluating the site by the user. Lazy Load group plugins are very easy to install and use. Download and activate them through an admin panel of your site. All further work plugin execute independently. And the tool does not need any fine-tuning. If you are not new to WordPress, then you know that the database tables are an important element of its work. If you do not optimize your database tables, the load of the site is greatly enhanced and it cannot serve visitors quickly and smoothly as you would like. What to do? Again, plugins come to help the owners of sites on WordPress. In the category of plugins for optimizing database tables, there are also free and paid tools. One of the convenient free tools is the WordPress Database data Administrator. This plugin is easy to install and does not require any tuning. It is working directly with the optimization of database tables, and you will feel the results almost immediately as you install this useful add-on for your site. 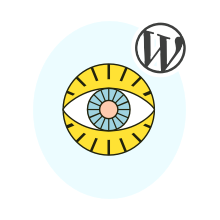 Trackbacks and pingbacks are standard WordPress tools for tracking links to your site and out of it. However, these notifications are spending a significant portion of server resources, which could be spent on more basic fast loading pages. This way you are blocking the power inherent in your site by yourself. You can disable notifications in the admin panel, section “Discussions”. Please note that the notification does not block off the ability to link to your site or to place links to it. If you still want to track notifications, we recommend to use of special plugins for this purpose. These plugins will be more optimized and would not spend so many resources of your site as a built-in WordPress trackbacks and pingbacks. The combination of all of these methods will allow you to significantly speed up the loading time of your site. Of course, this is worth stopping at. There are other ways to speed up the downloading time, but one should start with the steps that are described in this article. Always remember that the improvement of the site`s load speed can not only improve your SEO performance, but also pleases your visitors. Mobile versions of web sites today become more and more important, which also increases the importance of a quick download of all the content of your internet project. Work on your site and it surely will become the best! W3 Total Cache vs WP Super Cache: which Caching Plugin is Better?